Octoplus / Octopus Box Samsung Software v.2.3.9 is out! 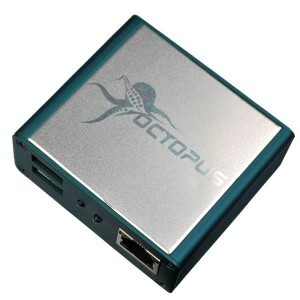 Octoplus/Octopus Box Samsung Software v.2.3.9 is out! We have added “Factory Unlock” feature and support for Samsung Galaxy C9, Samsung Galaxy On5 2016 Duos TD-LTE, Samsung Galaxy On7 2016 Duos TD-LTE, Samsung Galaxy J3 and other models! 🐙 Added “Factory Unlock” feature! - Devices with "Device Unlock App" (T-Mobile and MetroPCS) are not supported and credits will not be refunded! - Sprint, Verizon devices, which IMEIs starting with 99xx are not supported and credits will not be refunded! If device still requests unlock code - enter 00000000 (8 zeroes) code. 🐙 Improved "Write Cert" operation for Galaxy S6 and S6 Edge phones: fixed issue, when phone IMEI is 350000000000009 and operation stops after "Exploit has been executed successfully". This issue occurs if phone was processed with other tools.